Memorial Day is the day we remember those who gave their lives in service to their country. 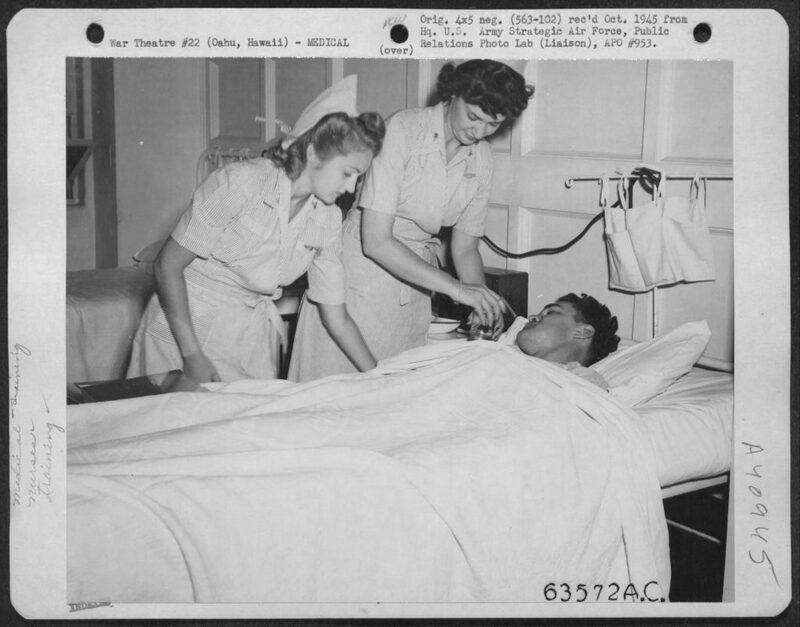 Many of those were nurses and today we would like to take a few moments to remember and salute the military nurses of the “Greatest Generation” who served during WWII. 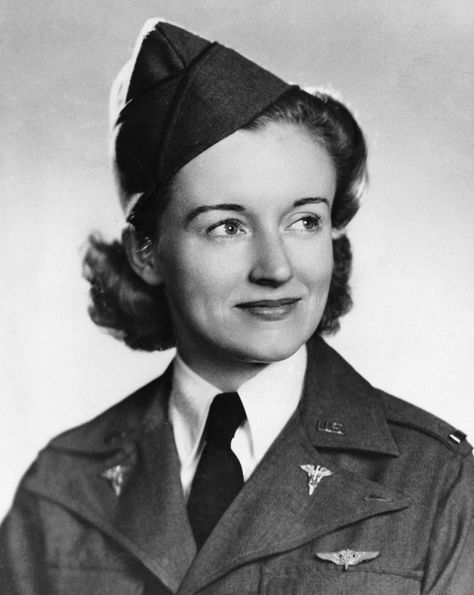 Flight nurse Second Lieutenant Ruth M. Gardiner was the first U.S. nurse to on active duty during WWII. She died during an air evacuation mission near Nannek, Alaska on July 27, 1943. Gardiner General Hospital in Chicago was named after her. Wisconsin native Second Lt. Ellen Ainsworth was on duty caring for patients at the 56th Evacuation Hospital in Anzio, Italy when the field hospital was attacked by heavy artillery shelling. 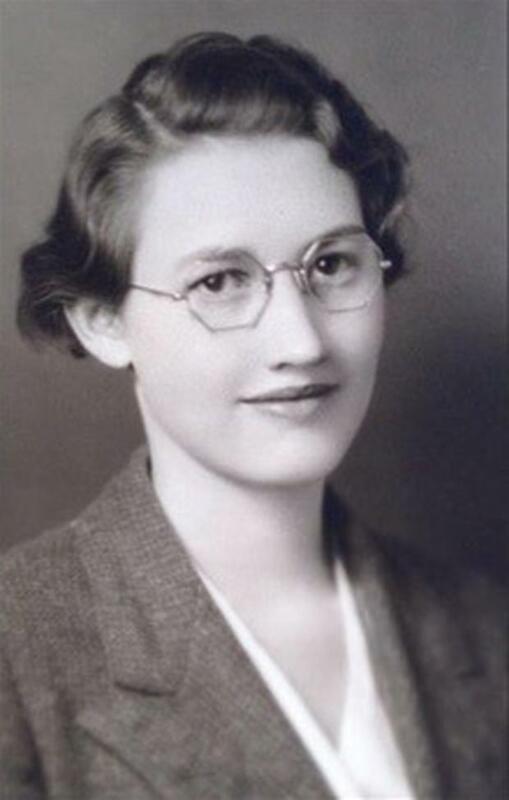 During the attack on February 10, 1944, she and her fellow nurses bravely continued to care for and evacuate dozens of patients until she herself was struck in the chest by shrapnel and died from her injuries a few day later. She was posthumously awarded the Silver Star, the Purple Heart and the Red Cross Bronze medals. I ask for my boys what every mother has the right to ask — that they be given full and adequate nursing care should the time come when they need it. Only you nurses who have not yet volunteered can give it… You must not forget that you have in your power to bring back some who otherwise surely will not return. 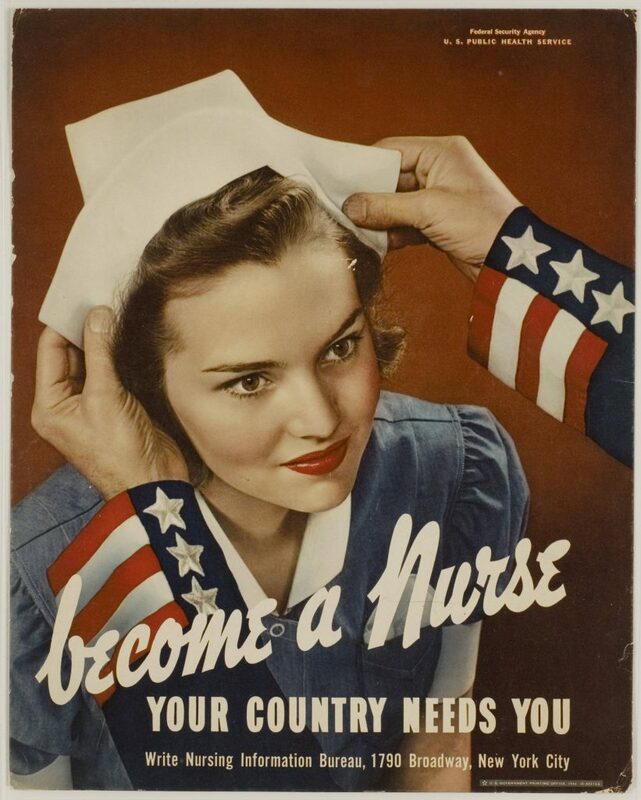 While Roosevelt’s appeal and many of the military nurse recruiting campaigns at the time were primarily targeted toward women, male nurses also served in the U.S. military during WWII and earlier. One of the most notable male military nurses was Walt Whitman, who served as a nurse during the Civil War. 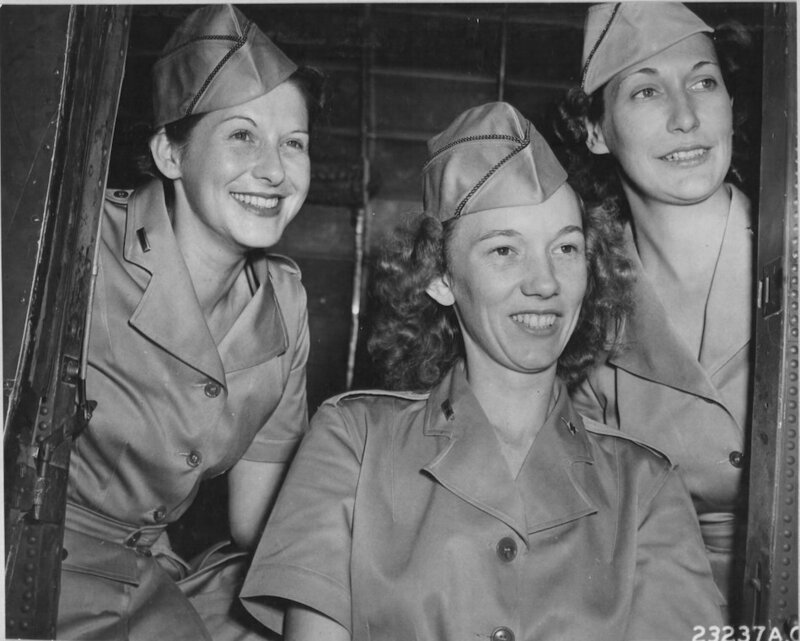 Here a few photos of some of the military nurses who served during WWII. Air Base in the Caribbean. 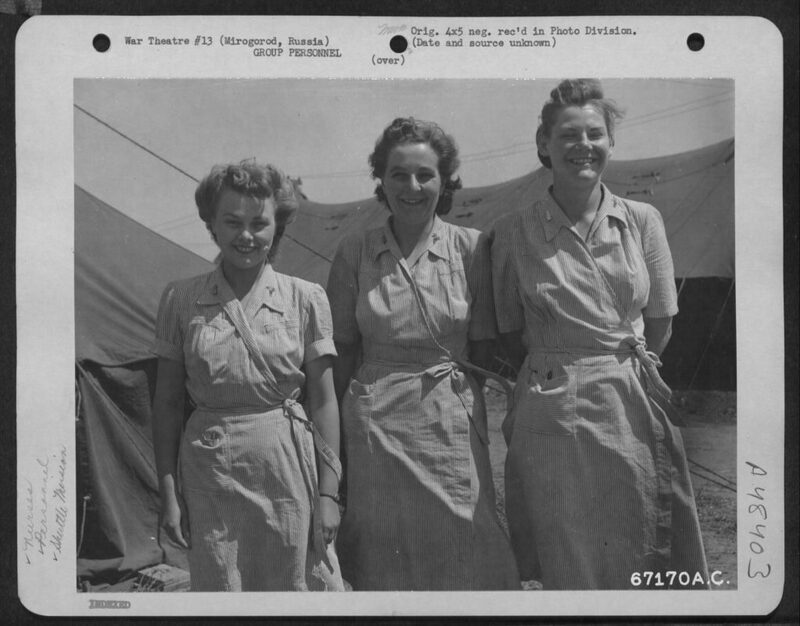 Nurse Lt. Myrtle Miller, Lansing, Mich; Nurse Lt. Jane Jordan, New Glasgow, Va.; and Nurse Lt. Irene Gukeisen, Parkston, South Dakota. 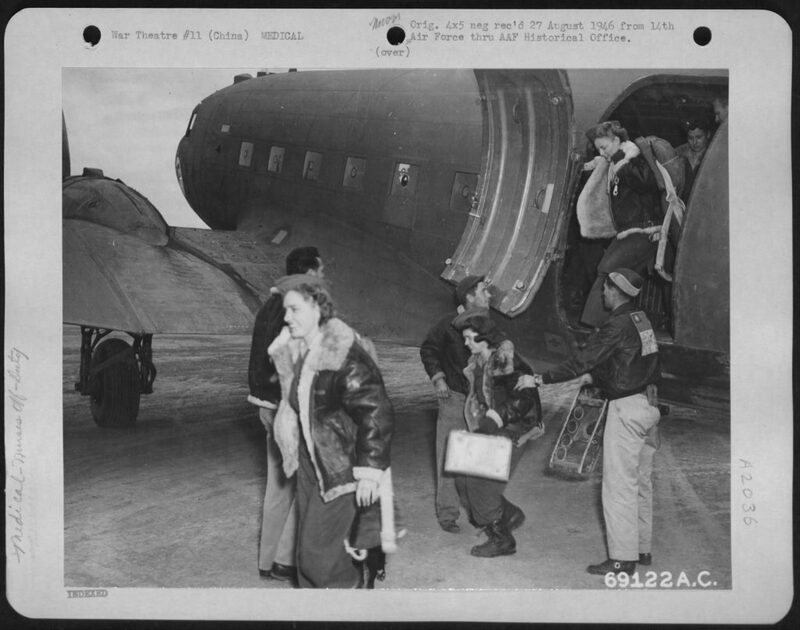 Nurses thoroughly trained in jungle rescue work and in evacuation of wounded by air. Poppies from France. 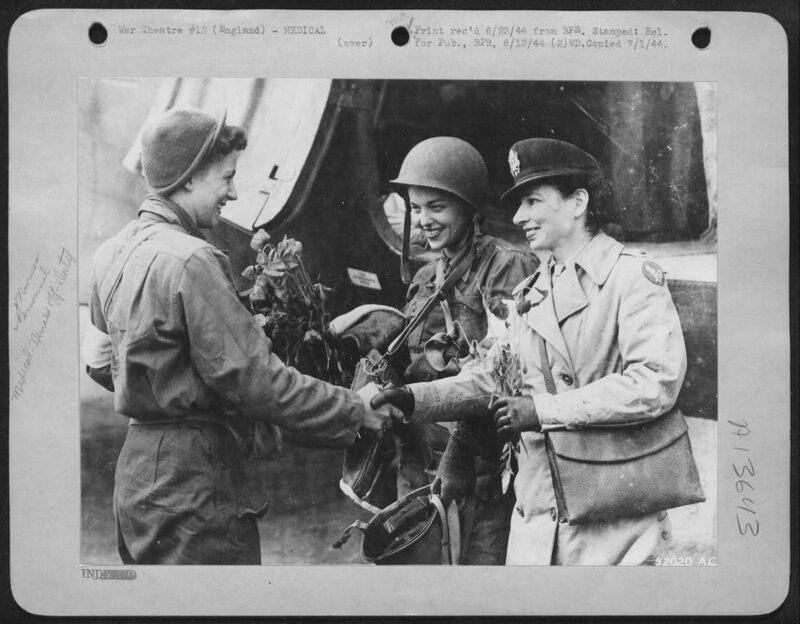 2nd Lt. Suella Bernard smiles and shakes hands with Lt. Ofster, head nurse, while 2nd Lt. Mary Jane Brown of Columbus, Ohio, looks on. Nurse Brown brought poppies together with wounded from a beach head in Normandy.